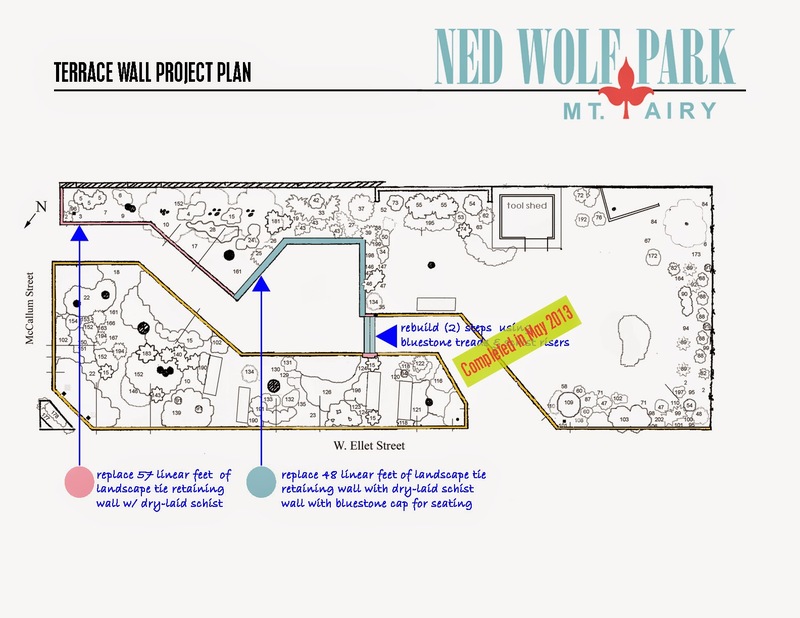 Friends of Ned Wolf Park: Terrace Wall Construction Begins! 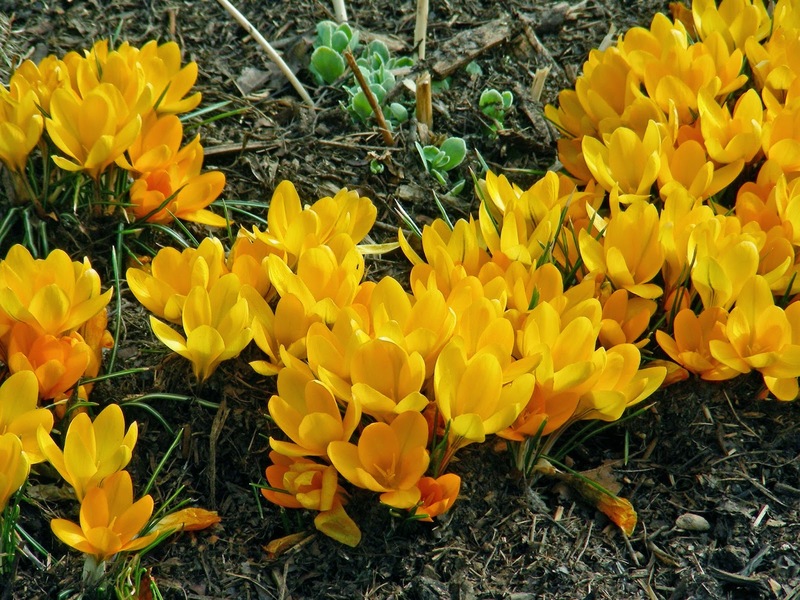 Behold the 'Yellow Mammoth' Crocus that are blooming furiously at Ned Wolf Park as construction begins for the Terrace Wall Project. Although still shy of our fund-raising goal for this project, we've found a way to forge ahead so the new construction is completed in April 2014. The Fairmount Park Conservancy's $10K Physical Improvements Grant moved us closer to the finish line, but we need to raise $2,000 with help from our friends and neighbors. Here are Morning Dew Stonework & Landscaping owner, Fran Hammond, and his assistant Brendan beginning demolition of the old creosoted railroad ties. For the next three weeks, the terrace area and walkway from McCallum Street will be closed to visitors so the work may proceed. 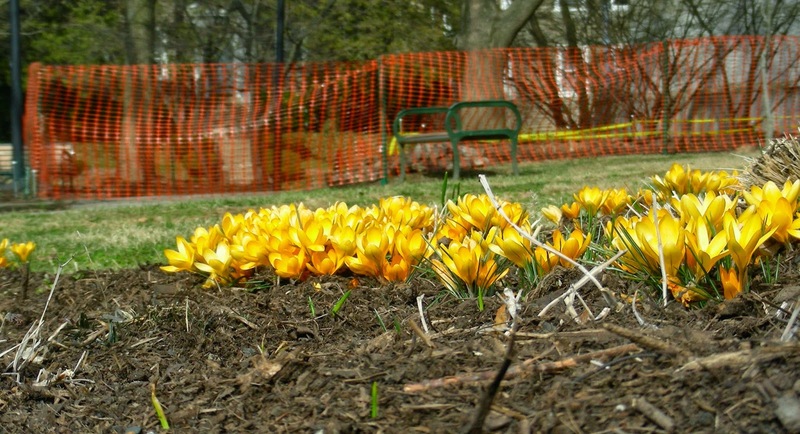 Orange hazard fencing will define the construction work zone, but you can still visit the park and sit on the benches and enjoy the spring plantings as they slowly emerge from a severe winter slumber. 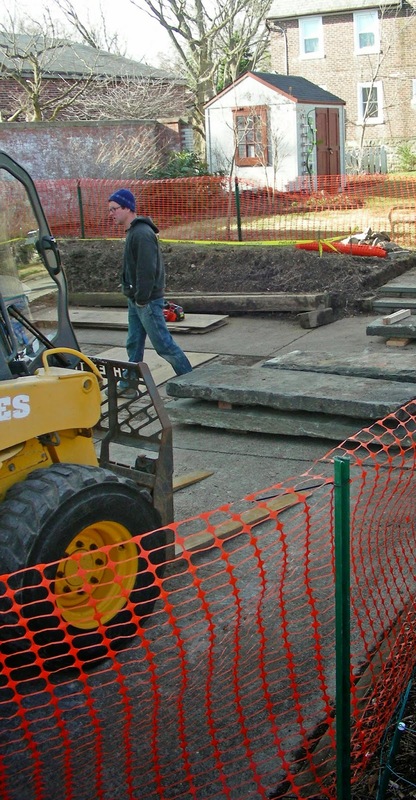 This morning, our contractor hauled in some of the reclaimed bluestone which will cap the schist walls to form a seating surround for the central paved terrace in Ned Wolf Park. This handsome material, rescued from a railroad embankment that was demolished in 2013, will be trimmed and set in place atop a wall made of Wissahickon Schist. Although a remarkable improvement which will offer all sorts of opportunities for groups to meet together in the center of the park, we suspect the character of the local stone materials selected will look timeless....as though they have been in the park for many decades. Above is the plan showing Phase II of the Terrace Wall Project, now underway. An additional sum of $7K is needed for Phase III which will remove the last of the hazardous creosoted timbers from the Park which serve to edge all the planting beds along the concrete sidewalks. 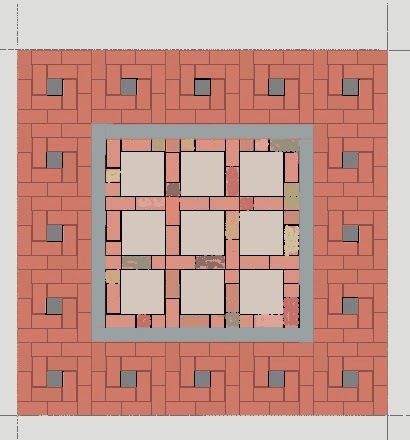 We hope that our generous neighbors, inspired by the new stonework and the soon-to-be-installed custom engraved donor bricks, will continue to make donations and purchase the rich red bricks for the rejuvenated Terrace insert shown below. Each can be inscribed with up to three lines of text to commemorate or thank a friend or loved one, or just to signal your support of this park and its handsome gardens. These donations will make it possible for the Friends of Ned Wolf Park to work with the Parks & Recreation Department to complete the Project. Your gift in any amount can be made directly via this website by clicking the donate button in the column at the right of this page. Custom engraved bricks can be still purchased for a $100. donation.